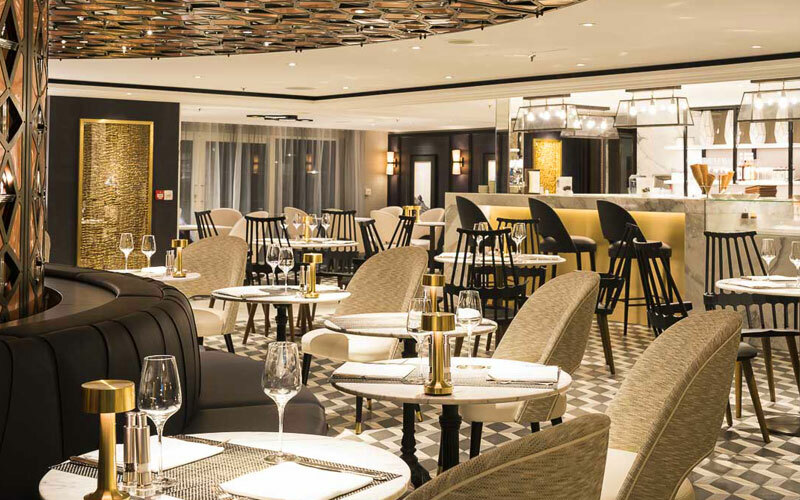 All hail the Crystal Mozart – the largest river vessel yet to sail the rivers of Europe, and one of Crystal River Cruises’ ultra-luxury river yachts. 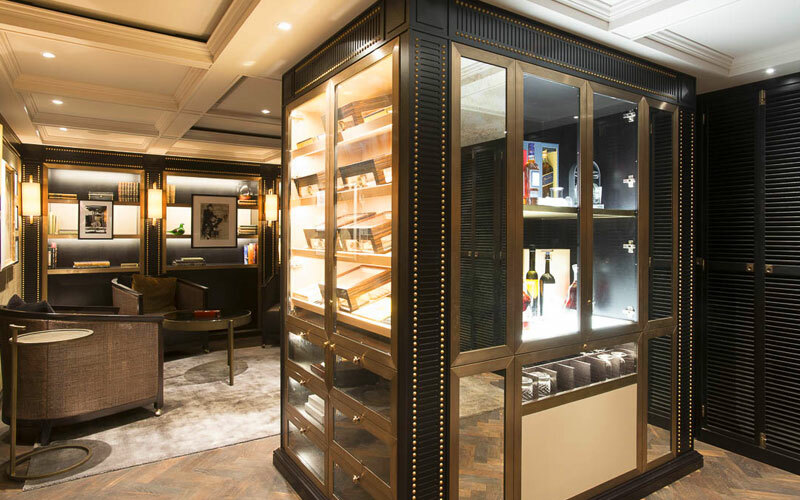 As a spacious, state-of-the-art river ship, all 154 guests onboard are guaranteed the largest luxury suites of any river vessel in Europe, with a 24-hour room service for their utmost convenience. 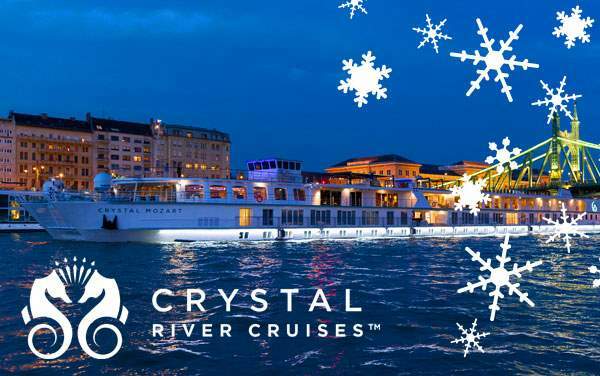 With magnificent luxury accommodations, ranging from window, deluxe and penthouse suites, to the coveted two-bedroom Crystal Suites covering 860 square feet, your European river sailing aboard Crystal Mozart is sure to be amazing. 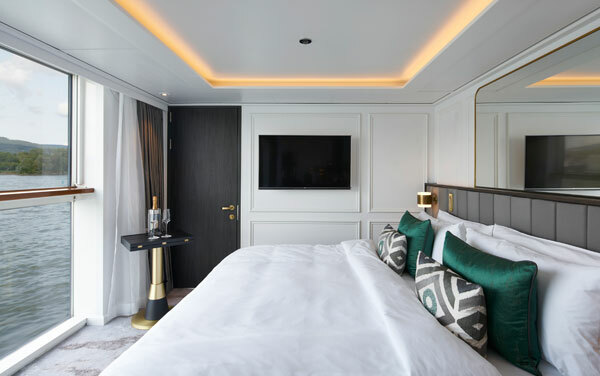 Like all river yachts under the Crystal River Cruises family, Crystal Mozart comes with highly-personalized butler service and extensive overnight stays in unique ports highlighting the immersive discovery theme well sought-after by seasoned travelers. 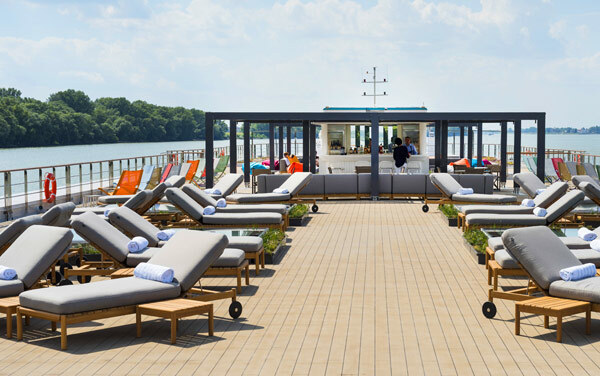 Plus, Crystal Mozart’s passenger-to-crew ratio of 160:94 is among the best of any European river cruise ship. Her comprehensive amenities package featuring all-inclusive meals is designed to enhance culinary experiences from renowned chefs and specialty restaurants. 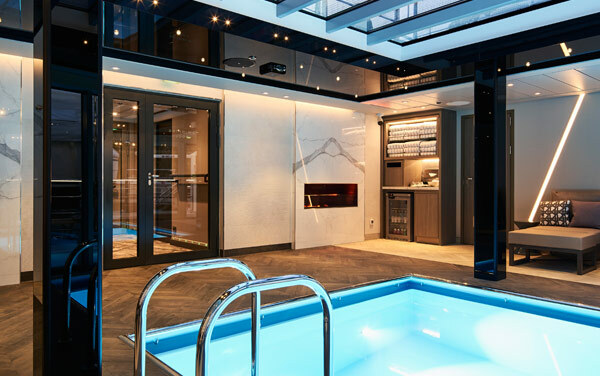 Don’t miss out on the unlimited beverage package with stocked in-room mini-bar, outdoor fitness activities built into its 360° wraparound promenade, and relaxation havens such as the indoor pool, high-end spa and salon. Be sure to contact our cruise specialists for more information on the luxurious Crystal Mozart. 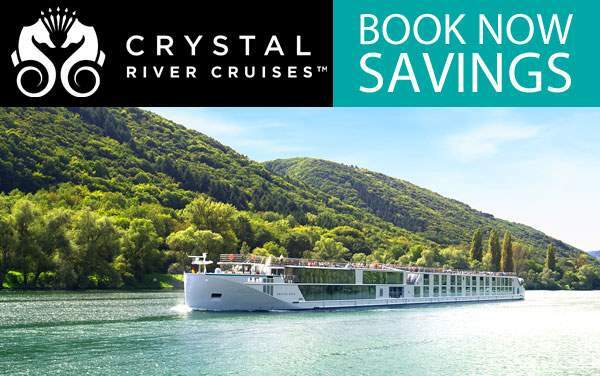 Crystal River Cruises bring a new level of luxury to the Old World and beyond, offering a fresh glimpse into the astounding history and mesmerizing scenery of the world’s most famous rivers. 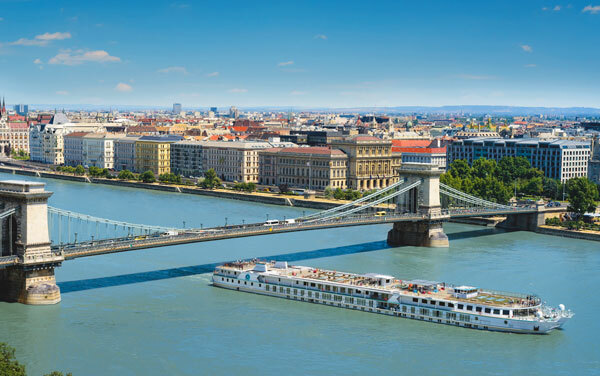 From the Netherlands, Belgium and Germany to Austria, Hungary and Serbia, Crystal River Cruises shed new light on historic destinations, offering unique travel experiences you won’t get with a typical land tour. 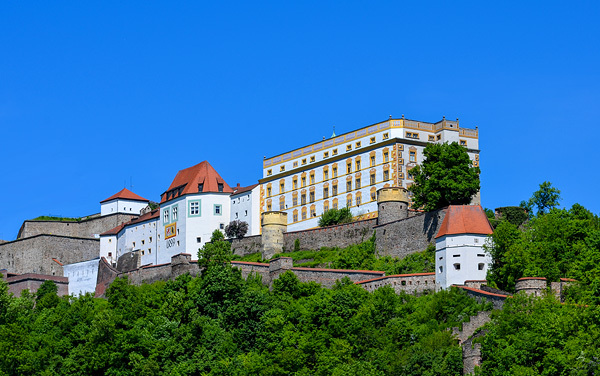 Crystal River Cruises’ carefully crafted river itineraries incorporate the line’s exclusive Crystal Collection of land excursions to explore the destinations listed below. Europe’s most stunning rivers invite your luxury exploration, featuring awe-inspiring experiences in France, Germany and beyond! Crystal River Cruises depart from some of the world’s most remarkable cities, some more modern and chic, others comfortably charming and quaint. 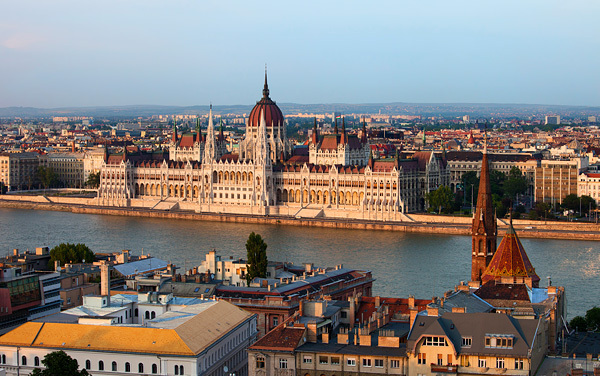 Departure cities like Amsterdam, Basel, Frankfurt, Nuremberg, Vienna and Budapest – just to name a few – are much more than just the starting point for your luxurious adventure. 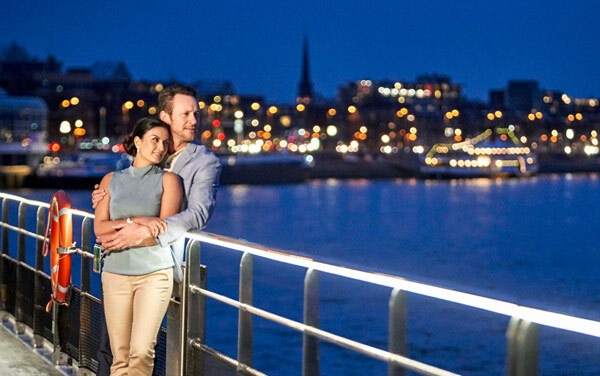 In fact, Crystal River Cruises’ incredible departure cities are destinations in and of themselves, so arrive early and dive right into your authentic cultural experience. 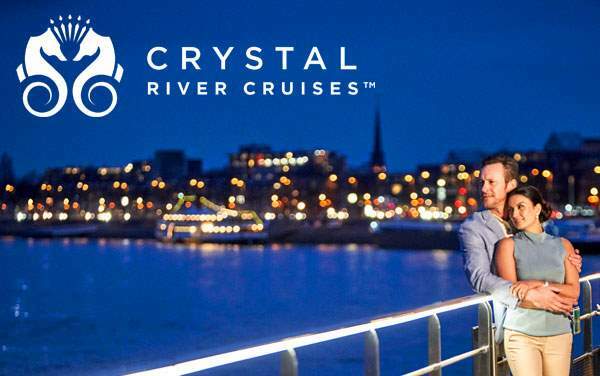 Featured below are the possible departure ports for your luxurious river cruise with Crystal. Contact one of our friendly cruise consultants today at 1-800-377-9383, or keep exploring below! King-size bed (convertible to two twin beds). Full-lenght mirror. Single vanity with back-lit mirror, integrated TV, drawers and heated towel rail. Glass enclosed shower. Hairdryer. Closet. In-room safe. Writing desk/vanity area. Flat-screen TV. Refrigerator and Nespresso coffee machine. Coffee/dining table. Two-seat sofa (some convert to third bed). French balcony. Optional Butler Service. King size bed (convertible to two twin beds). Bench seat. French balcony. Nightstands with wireless charging pad and USB outlets. Walk-in closet. In-closet safe. Flat-screen TV. 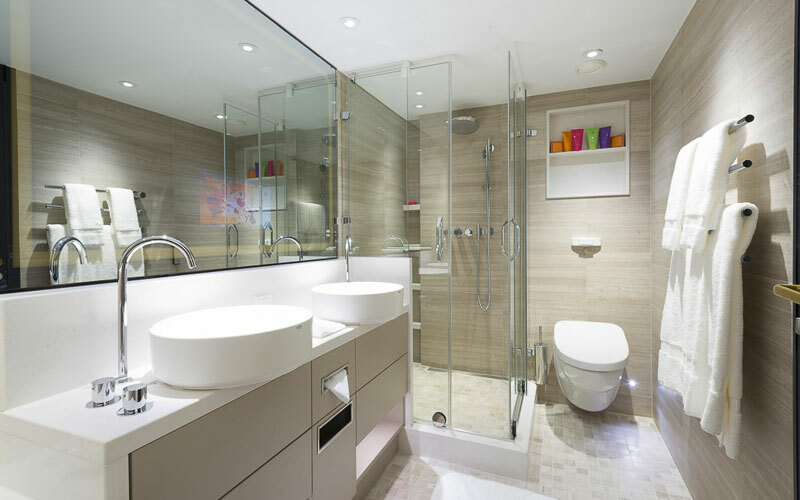 Double vanity with back-lit mirror, integrated TV, drawers and heated towel rail. Shower and separate full bathtub. Vanity area and hairdryer. Entry room. Fireplace with ambient fire effect. Guest powder room. Seating area with sofa. Dining table. Refrigerator and Nespresso coffee machine. Optional Butler Service. King-size bed (convertible to twin beds). Two-seat sofa (some convert to third bed). Double vanity with back-lit mirror, integrated TV, drawers and heated towel rail. Glass enclosed shower. Separate full bathtub. Hairdryer. Walk-in closet. In-closet safe. Writing desk/vanity area. Flat-screen TV. Refrigerator and Nespresso coffee machine. Coffee/dining table. French balcony. Optional Butler Service. King-size bed (convertible to two twin beds). Full-lenght mirror. Single vanity with back-lit mirror, integrated TV, drawers and heated towel rail. Glass enclosed shower. Hairdryer. Closet. In-room safe. Writing desk/vanity area. Flat-screen TV. Refrigerator and Nespresso coffee machine. Coffee/dining table. Two-seat sofa (some convert to third bed). Fixed Window. Optional Butler Service. Browse our image library showcasing the best of Crystal River Cruises, which brings you right into the heart and soul of some of the world’s most sought-after destinations. 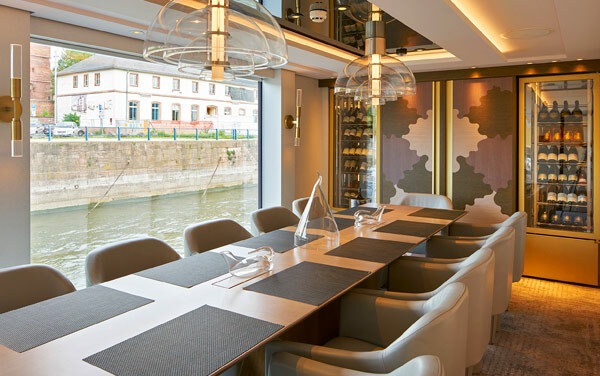 Best of all, this is merely a teaser of the luxurious experiences and scenic surroundings waiting for you aboard Crystal River Cruises! 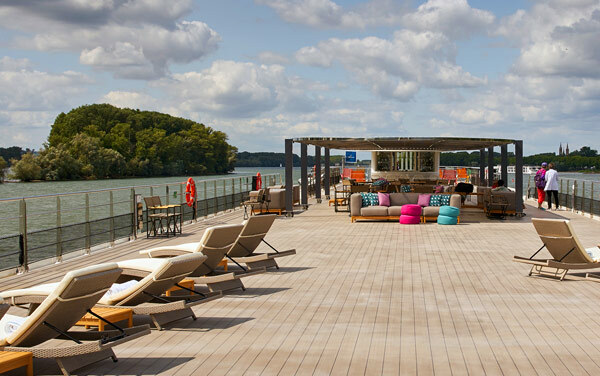 Discover how Crystal River Cruises provides an unrivaled luxury experience for all cruisers, including those with special needs. 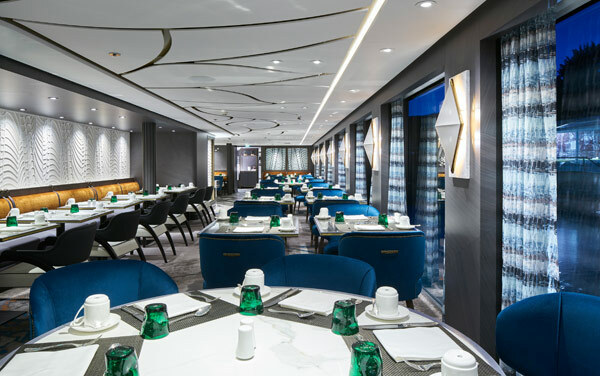 Preview the onboard dining experience offered by Crystal River Cruises, highlighted by locally-sourced regional cuisine. 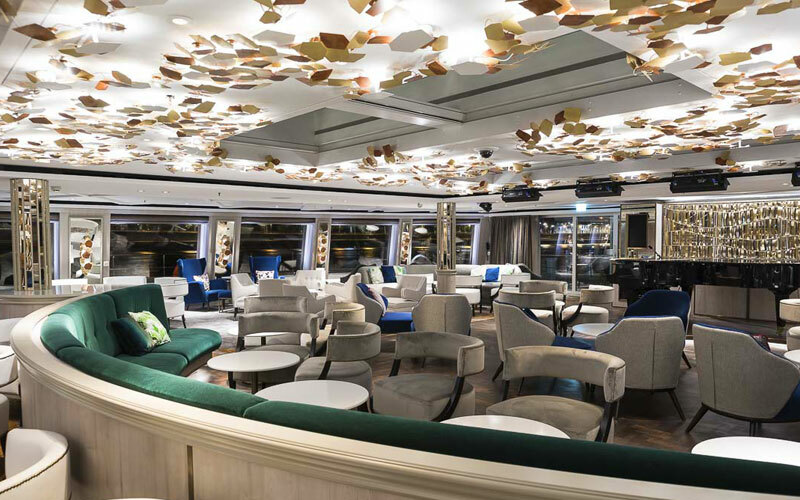 Learn about the onboard entertainment provided by Crystal River Cruises, including live music, signature lectures and more. 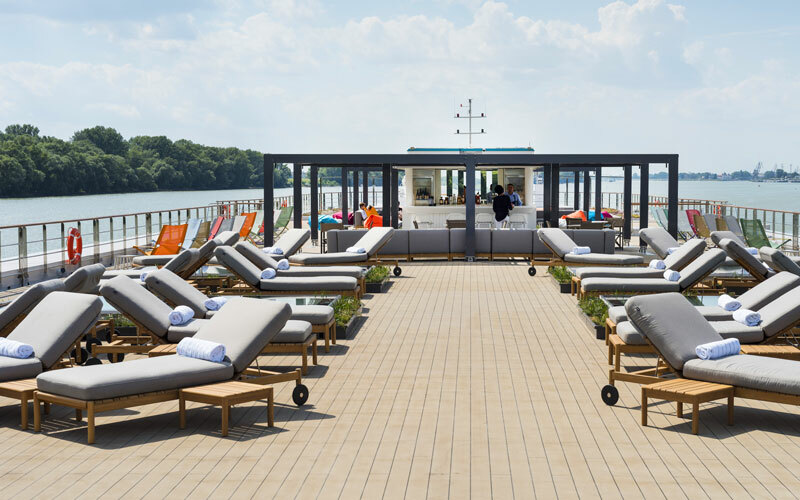 Crystal River Cruises’ luxury river ships are small in stature, but they still offer plenty to do on board, including a pool, spa, library and more. The impeccable staff aboard Crystal River Cruises will anticipate your every need while accommodating special requests. 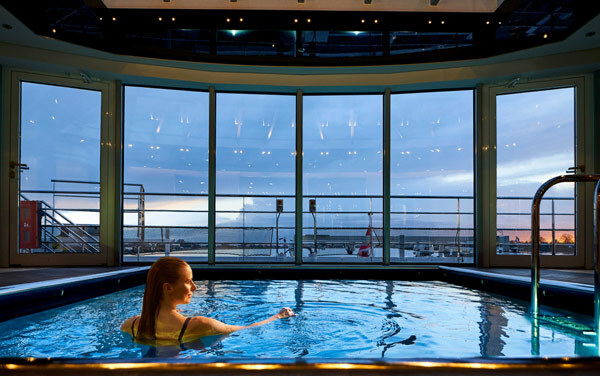 If your idea of a luxury vacation includes fitness workouts, spa time, swimming and healthy eating, then Crystal River Cruises’ even has you covered. 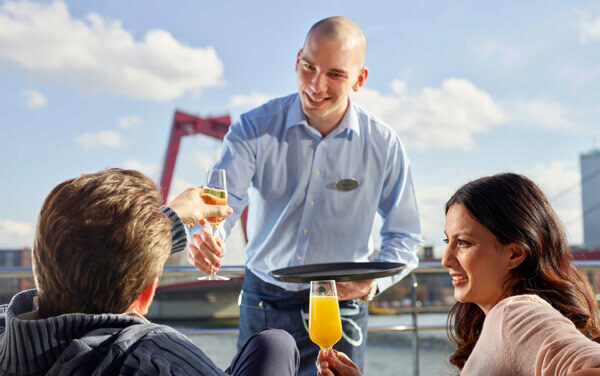 Learn about exclusive themed cruises and special season events that you can celebrate on a luxurious Crystal River Cruises vacation. 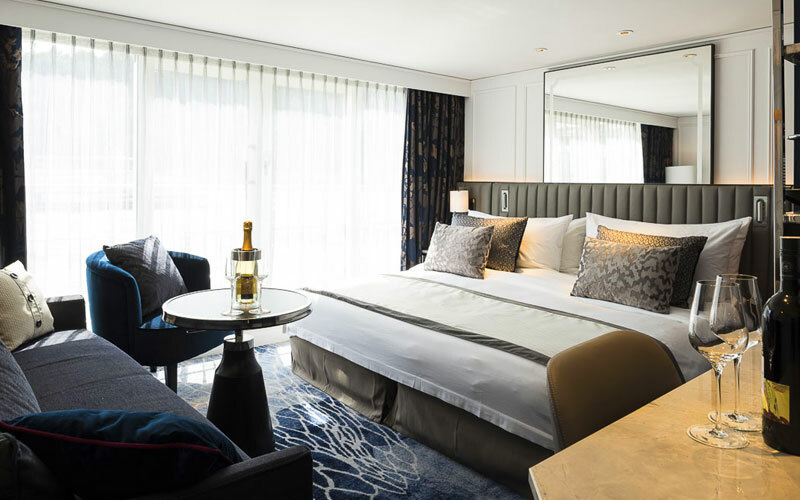 Preview Crystal River Cruises’ all-suite accommodations and learn about the inclusive amenities available for each. We encourage family exploration, so learn about the youth activities and age restrictions for Crystal River Cruises.